Horror, Mystery, and Murder Oh My! Halloween is fast approaching and scary movies are essential to anyone’s celebration. Whether it’s for a Halloween party, a date, or a just you alone in the dark, GREY’s got the movies that send chills up your spine. 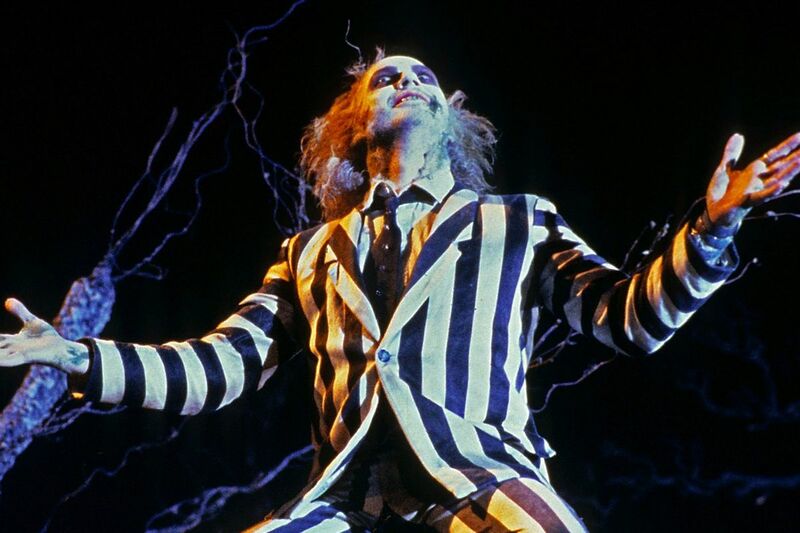 Beetlejuice is generally considered to be one of the funniest Halloween movies out there. With a stand out performance from Michael Keaton, it’s not surprising this movie caught the attention of the nation. 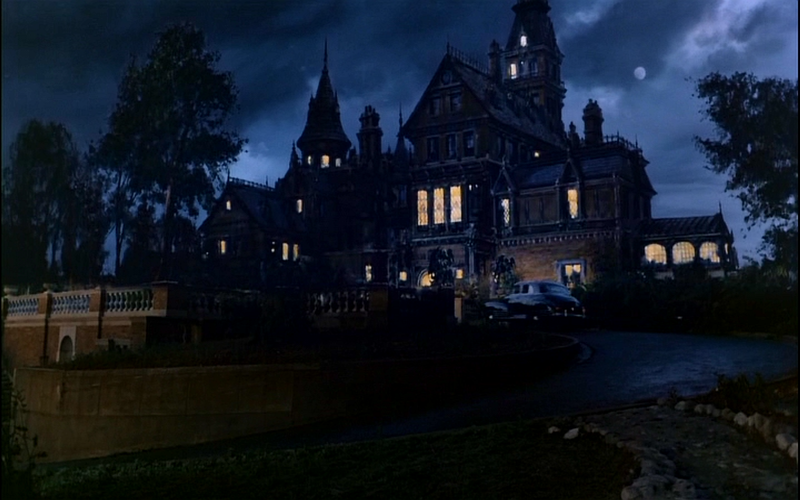 The movie follows a married couple who has recently passed away and persists to haunt their old home. After an obnoxious family moves in, they find that their own haunting abilities fall short and turn to a demon named Beetlejuice to help them. The film is a wild ride and isn’t short on laughs. You can watch it with your kids and they’ll love it as much as you will. Tim Burton makes our list again as the writer of yet another this holiday classic. 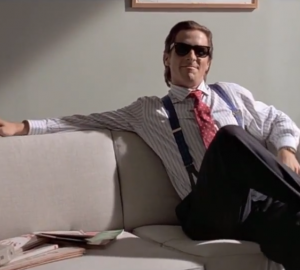 While Burton isn’t actually the director, his own visual style and influence are certainly apparent. That said, Henry Selick‘s own filmmaking style seems to have many visual similarities to Burtons when you consider his entire body of work (Coraline, James and the Giant Peach , etc). He’s clearly experienced when it comes to stop-motion and his appreciation of the medium is on full display here. Instead of one director usurping another, I think it’s more likely that the two men’s perspectives harmonized each other. With great musical numbers, a unique premise, and exceptional stop-motion animation there’s plenty to love here. 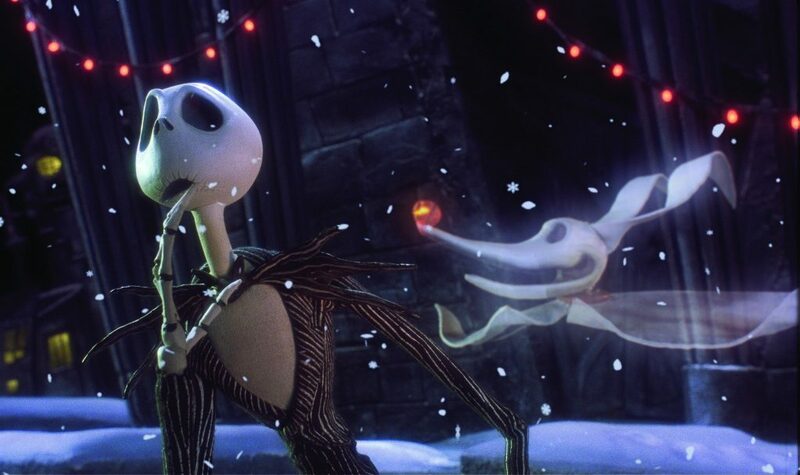 The movie follows Jack Skellington, the king of Halloween town, as he attempts to take over Christmas after growing bored with his own holiday. His townspeople help him as he kidnaps Santa Claus and tries to take his place. Things go awry as the ghouls and ghosts bungle the holiday and end up making even more trouble. Halloween is probably one of the most iconic horror movies in cinematic history. For those of you looking to get a real scare, this is just the movie you’re looking for. This movie was Jamie Lee Curtis‘s first film and her raw talent is clearly apparent here. At the time of this film’s making, John Carpenter was also relatively new to the movie business, having only made 2 feature films (Dark Star and Assault on Precinct 13) on a low budget previously. With both of them so green to the industry, it’s almost surprising that they managed to make one of the best scary movies of all time. But once you see their talent the film’s success makes a lot of sense. After murdering his sister on Halloween, Michael Myers is sent to a mental institution. Years later he escapes the facility and goes back to his hometown to kill again. Laurie and her friends become his unsuspecting targets and must find a way to survive. 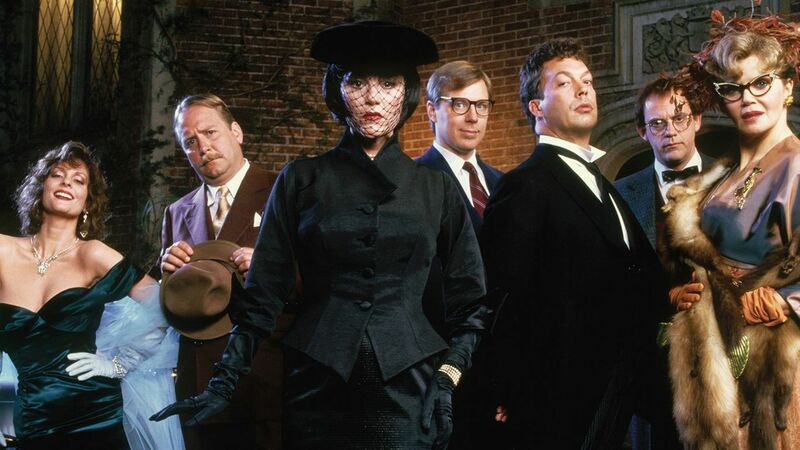 I’m gonna be honest, Clue is one of my favorite movies of all time. It’s in my personal top 10 and every time I watch it I love it even more. Written and directed by Jonathan Lynn (Yes Minister, The Whole Nine Yards, and My Cousin Vinny ) this gem of a movie keeps you guessing all the way to the end. With a dream team of talented actors, this comedic murder mystery will keep you both intellectually stimulated and dying of laughter. After being called to a creepy mansion with mysterious invitations, a group of strangers find themselves attending a dinner party together. As tensions rise, someone ends up dead and they find themselves trying to solve the murder before the police arrive. The movie is unusual because it features 3 different endings, each with a different character being revealed as the killer. When the movie was in theaters, different cinemas would have different endings and people had to see the film in multiple places to watch each one. Today, if you get it on DVD, you can watch all 3 from the comfort of your home. This movie is one of the best locked-room mysteries out there and is guaranteed to leave you satisfied no matter the ending. Was it really a surprise that this is number 1? Probably not. This classic Hitchcock thriller will pull you in and never let go. As it builds its characters and story the senes of danger keeps ramping up until it hits fever pitch. Directed by the master of suspense himself, this movie keeps you on the edge of your seat for most of its runtime. Featuring one of the most iconic scenes in cinema, the movie rightfully earns its place as one of the tensest movies you’ll ever see. 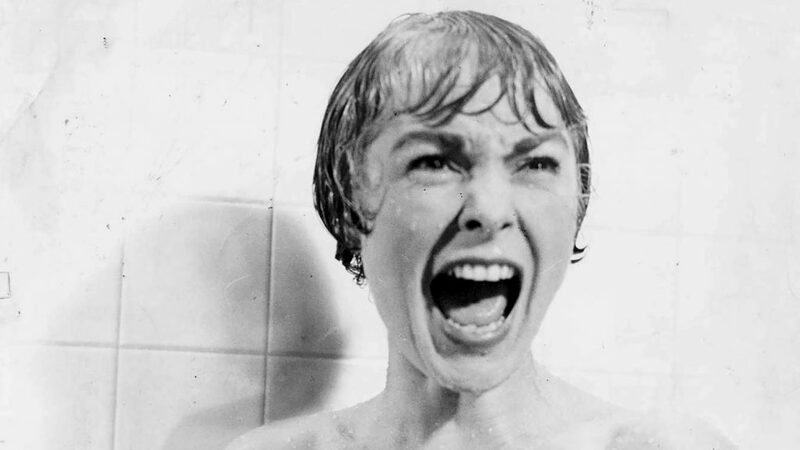 After embezzling $40,000 from her job Marion Crane goes on the run and stops for the night at a seemingly normal hotel. There she meets the manager, Norman Bates, a man who seems to live under his mother’s strict rules.